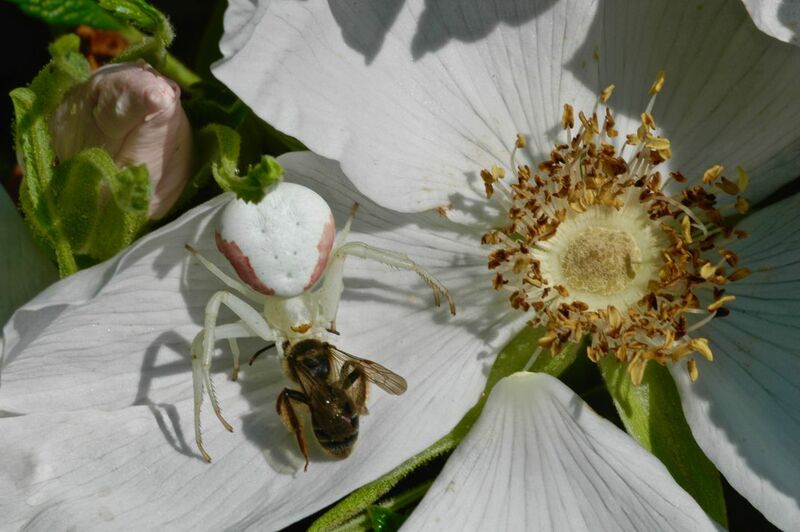 This photo features an alien looking spider feasting on a bee. This bee likely entered the flower in search of nectar, and did not expect it's camouflaged nemesis to be awaiting it's prey. There are many elements at play here, and the chaotic blend of shadows with varying colors inspires the same sort of excitement that this spider has for it's dinner.